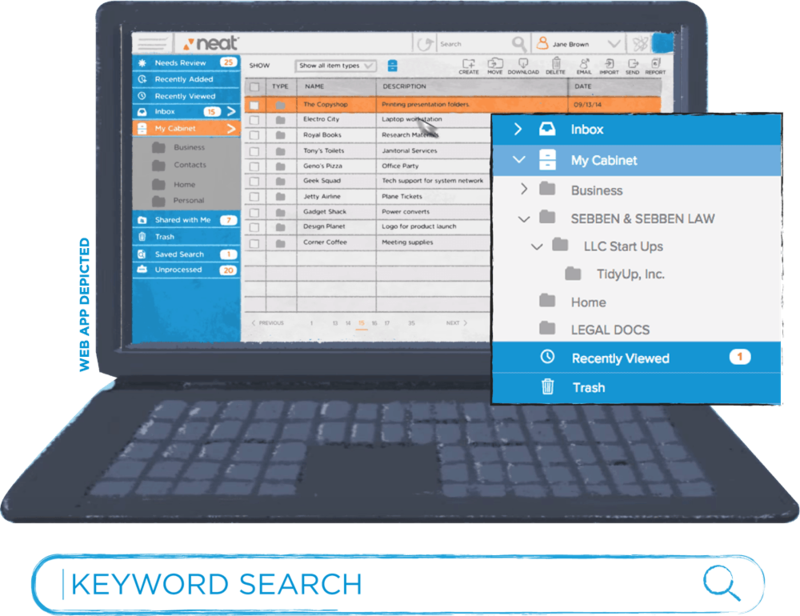 With Neat, moving paper documents online without manual data entry is easy. 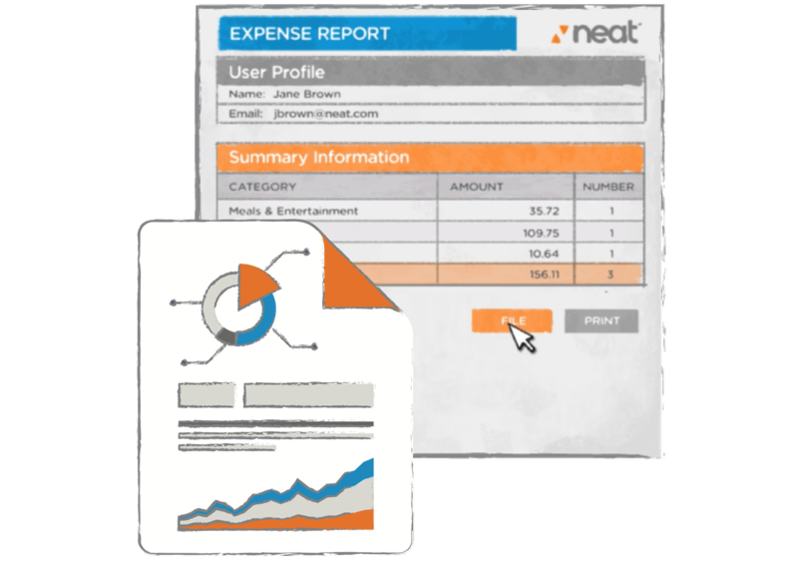 Just scan, snap, email, or import your documents into Neat, and our patented technology will extract key information for use in expense reports and accounting software. 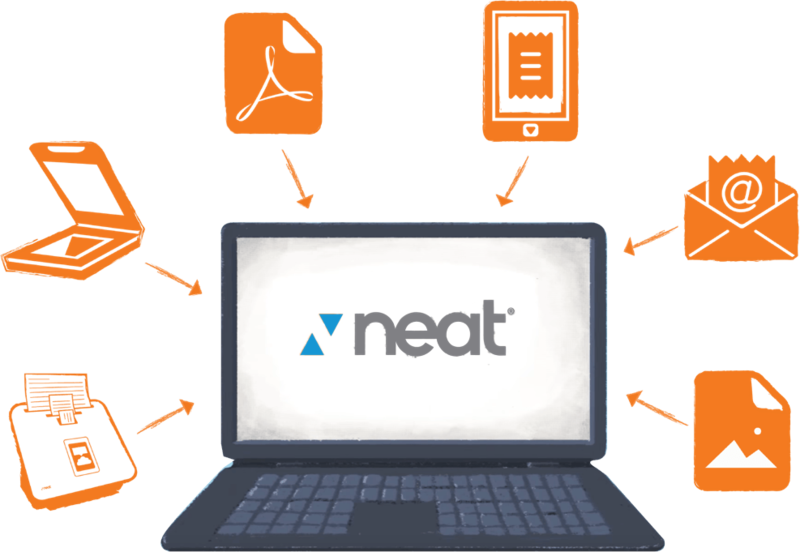 Our unique desktop utility allows you to import documents or use almost any device to scan directly into Neat. Neat mobile app puts the power of Neat in your hand anywhere or anytime… you can submit receipts on the go and never misplace one again! 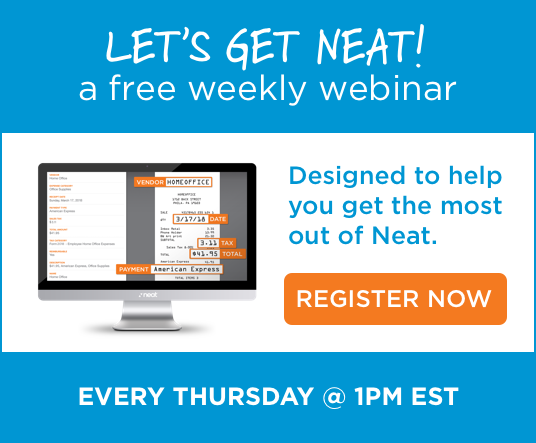 Neat also provides you with a personalized email address to eliminate the shuffle of paper invoices between you and your vendors- simply have them email it directly into Neat! Now all of your important documents are securely stored and organized in Neat. 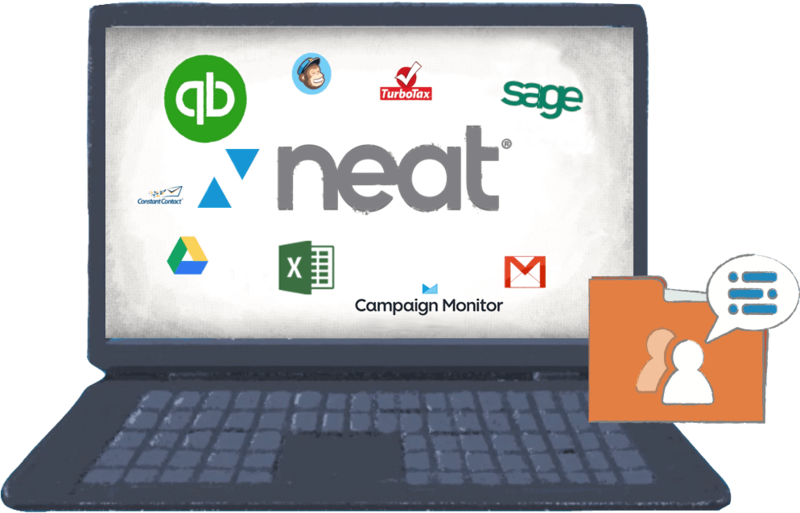 As documents are captured, Neat’s patented ID2 (In document Identification) technology automatically categorizes your documents and converts information into data you can use. Neat’s flexible folder structure allows you to arrange and organize your files to fit your needs. Every document is now easily searchable and can be accessed from any device. All of your expenses are categorized, stored and easily available at tax time. ID2 extracts key information of receipts and invoices into usable data to provide you real-time reporting and reduce manual data-entry into other applications. Gain visibility into your business Instantly track and organize expenses in one place. Having real-time visibility to your spending greatly reduces risk and provides you clear insights to where your money is going. You can also assign the appropriate tax category to each expense, making reporting and filing a breeze! Seamlessly integrate with popular accounting software, tax preparation software and other productivity applications to enhance the performance of your small business. You can also collaborate and share documents and folders with co-workers or employees as well as provide account access to your accountant or bookkeeper.